Is Agency Nursing in Sydney for you? Have you ever asked yourself what you’re doing with your life and career? How about this…have you ever wished you had more time with your family OR more time for yourself, for that matter. Well, if you have, you are not alone. There is a preponderance of evidence that the ability to achieve a happy work life balance can and will lead to a happier life. Australian’s are generally a contented lot of folks, but when work life balance is out of kilter, it can easily weigh down on the heart and the brightness of life. Whether you are a new nurse or specialized in emergency nursing, intensive care nursing, or whatever your specialty may be, nursing in Sydney can be brighter and more fulfilled with agency nursing in Sydney. It’s a wonderful way to achieve your goals and be able to meet your own expectations both professionally and personally. Don’t miss this nursing opportunity during your nursing career. It’s worthy of investigation. But, how do you get there? This is one of the most heard questions when nurses are asked about agency nursing in Sydney work. Let’s take a look. Corporate Care Nursing agency, Sydney, Australia. Opportunities truly do abound, if only one knows where to look. When it comes to nursing in Sydney and throughout Australia, nursing agency work can truly be one of the most fulfilling careers to participate in. Just take a look at some of the benefits you will achieve through becoming an agency nurse. So you can see there are enormous benefits available to you through this avenue of the nursing profession. Why might you want to consider coming to our premier nursing agency Sydney Australia? What other benefits are there besides hours, flexibility, travel, choice, options, and a happier work life balance? Okay….those are some mighty big ones, but are there others? You bet there are. at times because we have to deal with health, illness (both acute and chronic), and death and dying. These are not always easy topics to deal with and they can lead to illness on the part of the nurse, if the nurse does not take care of themselves also. Agency nursing in Sydney is a great way to take care of you. You can plan your time and your life so that you have time to exercise, relax, visit, volunteer, rest, read, study, bike, swim, or just do whatever you want to do. The important thing is that you can take care of you and / or your family. That helps you to be more de-stressed and a happier more fulfilled nurse. We are available to show you the ropes and help guide your way. Abundant opportunities are waiting so contact us today! What can you do about becoming an agency nurse in Sydney? 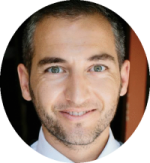 Aitor is a Registered Nurse (AHPRA registration NMW0001159845) with over 17 years experience in General Nursing, Emergency Nursing and Corporate Health. He loves Flu, works with Flu, studies Flu, writes about Flu and ironically, he’s had the Flu. He is the Nurse Consultant at Corporate Care and a proud member of the Australian National Padel Team. Cold and Flu in Asthma – Don’t risk it!